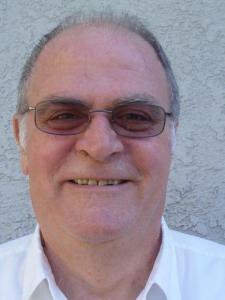 Hi, my name is Joseph S. I have been teaching and tutoring math and physics for the last 30 years. I tutored in Lebanon, Canada, and California. This gives me a diversity of experience with different cultures across the world. I hold an undergraduate BS degree with a physics major and math as minor. I also have specialized courses in math and physics. I also have a master's in teaching. I have tutored AP physics B, AP physics C which are College Board courses and are equivalent to university credits. I also tutored physics, algebra I and II, trig, geometry, precalculus and calculus. The diversity of teaching methods that I use and the hands-on activities help students grasp the concept and solve its problems including word problems. I am passionate and compassionate with students and use different teaching techniques until the student understands the work. Rate details: Groups of 2 or more get a 10% discount each. I have taught Algebra I for several years for high school students. I have worked patiently with students who struggle and helped them to achieve their best possible grade. I taught geometry in high school for more than 12 years. Starting from term definition to two column proofs to Polyhedrons and their properties to solid geometry. I am an experienced physics teacher at all levels with the topics of Newtonian Mechanics that includes: kinematics; dynamics; momentum and collision; energy and work; rotational motion; universal gravity and satellite motion; Oscillations and periodic motion, Geometric and Physical optics; Electrostatics; Electromagnetism; Electric circuits, energy levels and photo electric effect, and other smaller topics. I had taught Math for more than 35 years, from elementary arithmetic to precalculus and calculus to students of different abilities. I know the areas in these subjects where students can face difficulty. I use different strategies to help the student understand the concepts under discussion. The precalculus course covers the concepts of functions, polynomial, rational functions, exponential, logarithm, trig functions, system of equations, and analytic geometry. This course is rich with real life situations. Very patient and approachable. Great tutor. Joseph was extremely patient and approachable. He really helped me understand what I was doing and took the time to explain and re-explain anything I had trouble with. As someone who has a lot of anxiety when it comes to math, he really helped me. He is a very experienced person and knew how to solve any problem I had from my textbook within seconds. He is also really nice! Thank you, sir! He taught me a procedure on breaking down problems and and how to approach them properly. He is very knowledgeable and understood every problem I threw at him. He is very clear and concise with his teachings. I highly recommend him. Joseph was wonderful, I didn't feel embarrassed when I didn't know how to solve a problem. This is normally a huge problem for me and I will stop asking questions immediately if I feel judged. He was very accommodating and kept working with me to make sure I understood the concept or what he was talking about. The time flew by and we accomplished a ton. I totally recommend him and will use his services in the future. We went over concepts, examples, and numerical examples to make sure I knew it all. Most tutors only go over specific problems, but he helped me find the root of my initial confusion in understanding the concepts of circular motion and gravitational potential energy (in AP Physics). I dread doing physics problems, but he helped me work through them and the time flew by. Definitely will be coming back for more help in the future! A great teacher and worth every penny! He really knows physics and he knows just how to explain it so that I grasp it. He seems to know that little something that I don't that's keeping me from fully understanding a concept or knowing which formula to use. Joseph is extremely patient and knowledgeable of all subjects of physics. I've always had a hard time throughout the entire physics series in college, but even with the last physics series I was able to understand and incorporate all points previously taught together. I was able to understand the homework, topics taught and have increased my quizzes score for the first session. Thank you for your patience and help! This was my first experience with a private tutor, and he made it an excellent experience. He explained the material in such a way that I was able to understand it better. Thank you for the experience, now I have nothing to be nervous about. He is a very knowledgeable, experienced, and patient tutor!!! Very happy with his tutoring!!! I would recommend him to all students who need his expertise in Physics and Mathematics!!! Really patient and help me understand the material!! Helped me with my lessons and was more competent in the material then my current teacher in school. I would definitely recommend him as a tutor for on-line assistance with Physics.